I really don’t remember how I originally came across Aromaceuticals, but I’m glad I did. What I love about writing this series is finding gems like this to share with you. And I love that Aromaceuticals owner, Katharine Koeppen, has safe use of essential oils in mind. I received products free of charge from Aromaceuticals in order to write a comprehensive company profile that includes my personal experience with the oils/products. This post contains affiliate links, which means that if you click on one of the affiliate links, Marvy Moms will receive a percentage of any sale. This does not affect the amount you will pay for an item or service and in no way changes opinions expressed by Marvy Moms or Marvy Moms writers. For more info, see Marvy Moms Disclosure Policy. Other Products Sold: Classes, Events, Private Consultations, Essential Oil Kits, Personal Care Products, Aromatherapy Pendants, Herbal Oils, Synergies (essential oil blends), Carrier Oils, Diffusers and Inhalers. Out of all the oils I received from Aromaceuticals, I especially like the Sweet Orange and recently used it in a blend that I made for my mother in law. Geranium is not one of my favorite oils, and this one stands true to that inclination for me. The high 1,8-cineole content of Niaouli makes it one oil to keep away from the littles as this component can cause breathing issues in young children. I like that this Lavender smells close to what I would expect from dried lavender in a sachet. Is Aromaceuticals dedicated to supplying essential oils to the aromatherapy practitioner market and educated public? Is Aromaceuticals on the small size and not a large corporation? 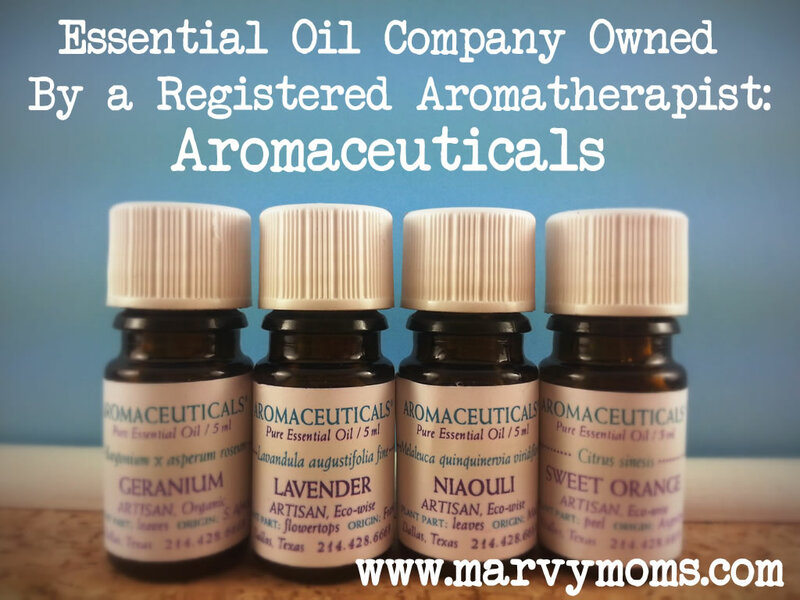 Is Aromaceuticals owned by an aromatherapy practitioner or essential oil specialist? 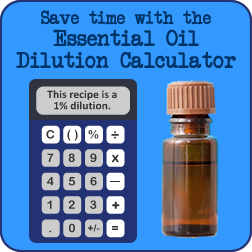 Can Aromaceuticals readily supply a batch-specific GC/MS spec report on each essential oil it sells? “I will supply a certificate of analysis, but it is not batch specific. Batch specifiic to me is ridiculous. As far as I know, there are only two boutique essential oil companies that do it. If you are buying from the same distillers year after year, it doesn’t make sense. These tests are very expensive and can double, triple or quadruple your costs and your price yourself outside of the business. When you are working with second or third generation distillers, they have a reputation to uphold and any dishonesty gets out to the other companies very quickly. Is Aromaceuticals readily able to provide material safety data sheets (MSDS) as needed? Does Aromaceuticals and do you (Katharine Koeppen) have a strong unquestioned noncontroversial reputation in the field? “I’m pretty conservative. I’m a little unusual as a practitioner, I didn’t go to any of these schools because they weren’t around at the time. I have studied with multiple top people in the field. The schools are good because they are comprehensive, however, students tend to become a little limited in their outlook. Taking classes with other people (beyond the school) is essential as well. As long as they are reputable people. “It’s small, it’s boutique. I actually coined the term artisan distiller in 1990 because I was one of the first people to dedicate my business to sourcing from boutique distilleries. As I’ve received more and more essential oils from so many different companies, I’ve begun sending a wishlist of oils that I don’t yet have. I sent such a list to Katharine which included Ginger, Manuka, Niaouli, Myrrh, Melissa (I keep trying, lol), and Cistus. I’m always clear that they may send any oils they like, but that the wishlist are only suggestions. I received a very nice letter from Katharine explaining that she was sending me Lavender, Niaouli, Sweet Orange, and Geranium. Notice that Niaouli was the only one on my wishlist. I already had the other three oils, so I have to admit I was a tad disappointed not to get something new to experience. However, I love her reasoning for not sending me what was on my wishlist. This shows me that Aromaceuticals deeply cares about their customers and what they do with them. She was aware of the Marvy Moms audience and wanted to demonstrate safety to our readers. In fact, she recently wrote an article entitled Is It Safe to Use Essential Oils on Children? that cautions about the many myths about essential oils and use with children. She specifically talks about mommy bloggers (which I am) that promote unsafe usage (which I’m proud to say I don’t). She encourages people to take a basic level aromatherapy class before using essential oils with their children or consulting a qualified aromatherapist. That’s a great idea! The first class I took was the Free Introduction to Essential Oils class offered by Andrea Butje of Aromeahead Institute where I’m now working toward aromatherapy certification. In light of recent letters from the FDA to a few essential oil companies (of which Aromaceuticals was NOT one), Aromaceuticals has decided to be proactive and change the wording on descriptions of their essential oils. More companies will likely follow suit in order to avoid scrutiny by the FDA. This is a woman after my heart that is interested in promoting safe use of essential oils. The fact that she is another essential oil company owner willing to publicly speak about adulteration of essential oils is another thing that makes me like this company. She takes great care in sourcing her oils and refuses to sell essential oils that she can’t source to her high standards. Katharine Koeppen of Aromaceuticals is the real deal. She is one of six aromatherapists in the entire state of Texas to hold the esteemed title of Registered Aromatherapist. Aromatherapists with this distinction have passed an exam administered only twice per year by the Aromatherapy Registration Council. They must retake the exam every five years as well as earn continuing education credits. If you live in the Dallas area, you can attend events and take aromatherapy classes with Katharine. She’s also available for aromatherapy consultations through her private practice. Explore more Essential Oils Company Profiles!